As Britain continues to work on an acceptable withdrawal agreement with the European Union (EU), one of the senior-most UK ministers at the heart of the debate reiterates the importance of India-UK ties in a post-Brexit context. It has never been more important for the UK to work with old allies and new partners across the world to boost trade and preserve the international rules-based system. And no country is more central to this plan than India. Our relationship is already strong. The UK is one of the world’s oldest democracies, India is the world’s largest. Our shared values and commitment to free trade are magnified by personal, professional, cultural and institutional ties between our two countries. Trade between our countries is now worth nearly £20bn. This is a significant increase of almost 27% from the previous year. UK companies employ nearly 800,000 people in India and we have invested more in the country than any other G20 nation over the last 10 years. British business organisation the CBI estimates that UK companies are creating one in every 20 jobs in India’s organised private sector. This includes well known investors such as Vodafone, BP, HSBC, Standard Chartered, G4S and Unilever – but also new investors such as Dyson, which launched numerous new products in India throughout 2018. In the last five years alone, UK companies have reinvested over £4.5bn of their profits of straight back into the growth of their Indian businesses. But this relationship is not one-sided. India is UK’s fourth largest investor, with our country receiving over half of all Indian investment into the EU, safeguarding more British jobs than any other country. In 2017, India established 120 new investment projects in the UK, creating 5,659 new jobs and protecting almost 550 jobs. In addition, Indian companies currently employ more than 300,000 people across the tech and telecoms sectors in the UK – a figure that is growing by between 7-8% each year. And I was delighted, and not surprised, to see India rise even further through the World Bank’s Ease of Doing Business report – coming in at 77th, up from 100th in 2017 and 144th in 2016. This placed India as one of the best-performing nations in terms of reforms in the business environment. Significant steps forward, including the implementation of electronic sealing of containers, improvements in port infrastructure and the introduction of electronic documentation, have been taken. Access to electricity and access to credit has also improved. However, as Prime Minister Modi showed in November when launching his new ‘Ease of Doing Business Grand Challenge’, there is more to be done. Which is why he is inviting innovative tech-based ideas to further improve government processes. Which leads me to discuss why I feel technology lies at the heart of the UK-India relationship. The UK and India are both global leaders in technology and two of the world’s most innovative countries. This is why we have jointly committed to using this expertise to help increase trade and investment, creating growth and jobs and addressing the greatest challenges facing us today. To cement this commitment, Prime Minister Theresa May and Prime Minister Modi launched the UK-India Tech Partnership in April 2018. An ambitious meeting of minds in our two countries, it will see the UK Government invest £14m to identify and pair businesses, venture capital and universities, among others, to provide access route to markets for British and Indian entrepreneurs and SMEs. To build the network, the Government is engaging in-country experts to work with the British High Commission in New Delhi, the Indian Government and the private sector in order to increase tech investment, exports and research and development. We will also create regional cluster teams that will link specific cities and regions in India and the UK to establish sector-specific partnerships. A major initiative under the partnership was the India-UK FutureTech Festival, held in New Delhi in December 2018. A thought leadership summit that brought together over 2,000 businesses, policy makers, venture capitalists, scientists and entrepreneurs, it explored and celebrated how the UK and India are together addressing some of the world’s biggest challenges and opportunities together. This includes data and privacy, an ageing population and future mobility. As part of the Festival also awarded seven Indian start-ups TECH Rocketship Awards, giving the companies the opportunity to come to the UK and build their local presence. Thanks to the programme, 40 winners from across India have already travelled to the UK to meet with potential partners and venture capital firms, also being introduced to a network of contacts to help launch or develop their operations in the UK and internationally. The FutureTech Festival set a global benchmark for technology partnerships like the one forged between the UK and India. It also provided the perfect platform to drive forward UK-India collaboration as we build towards an even closer future together. A future relationship that will also be deepened by the India-UK Trade Partnership, which was also announced on Prime Minister Modi’s visit to the UK. This will seek to improve the accessibility of trade for businesses in both countries by reducing barriers to trade. And, as we look to the year ahead, I feel incredibly excited about what is in store for the UK-India relationship with our shared vision of a deep and dynamic partnership. So, let us work together to meet global challenges and build a brighter, more prosperous future for India, the UK and the world. 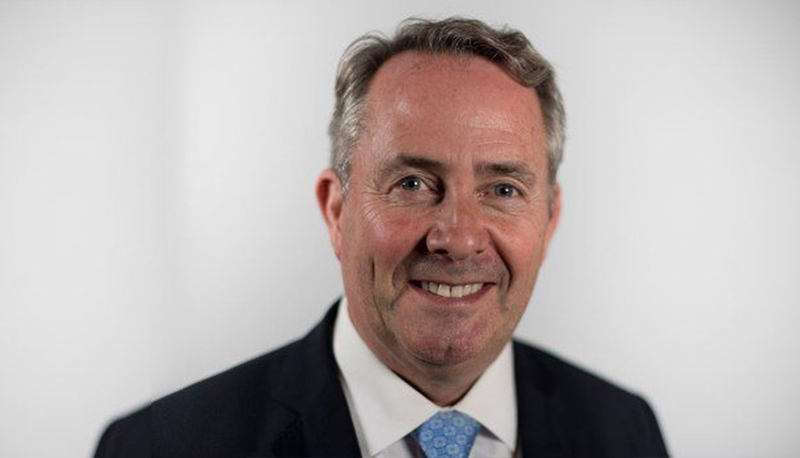 Dr Liam Fox MP is the Secretary of State for International Trade and President of the Board of Trade UK.